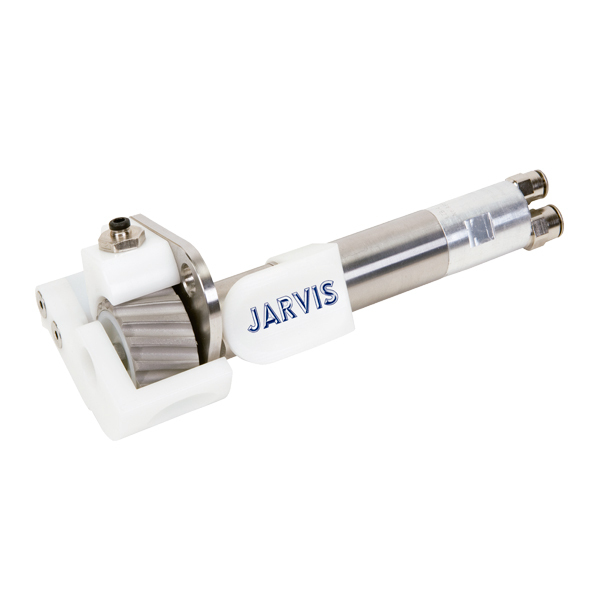 The Jarvis Model PB-1 pneumatically powered salmon pin bone puller for removing pin bones from nearly all fresh/defrosted and smoked fillets. • For salmon, trout and any other fish where pliers work. • Suitable for fresh (through rigor), defrosted or smoked fish. • Includes speed and torque controls to optimize performance for individual species and conditions. Optional water flush setup included. • No special skills required. • Can handle up to 6 fillets per minute.